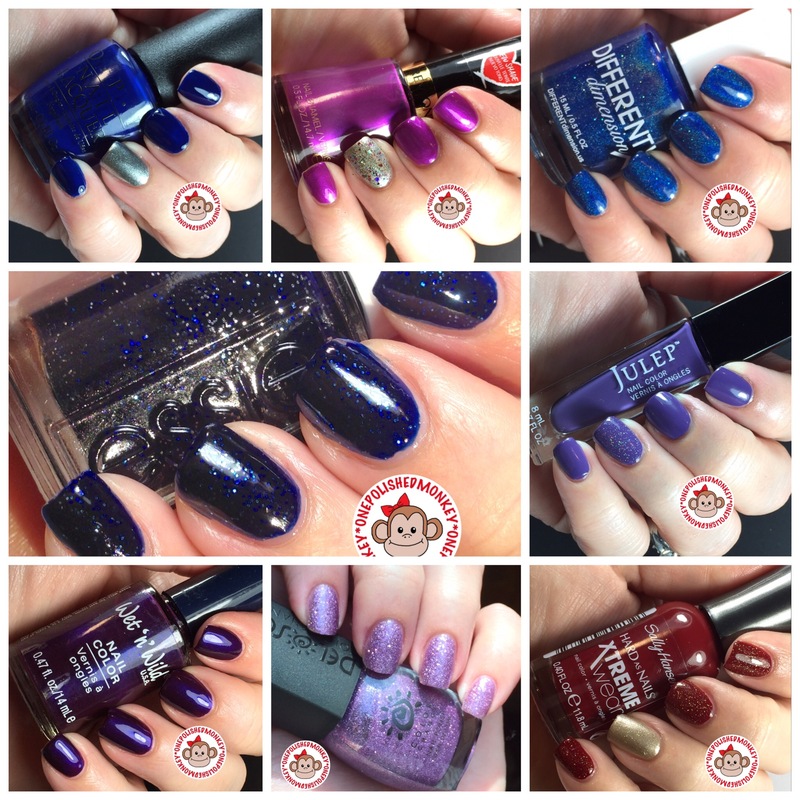 With the month of January already behind us I wanted to take a look back at all of the mani’s I had and see which one(s) I fell in love with and which one(s) I couldn’t wait to take off. I will start off with my least favorite mani and probably a polish I will end up putting in my destash. OPI Nein! Nein! Nein! Ok Fine! was my least favorite mani this month. It was the color more than anything that I disliked about this polish. I love grey and I love greens but I don’t feel like this combo was a good one. There were two favorites this month. Starrily Cyber Monday 2015 and FUN Lacquer Cheers to the Holidays(h). It figures that both are limited editions so I don’t know how easy it will be to get your hands on them and they are both purple polishes. I thought I had embraced the rainbow of colors but it appears that my soul still gets glossy eyed for purples. I loved purple as a kid and even had purple carpet in my room. Looking around my desk as I’m writing this I notice that I have a purple pen, purple charging cable for my phone and purple nail clippers. Yikes! Maybe I have been fooling myself all these years. lol. 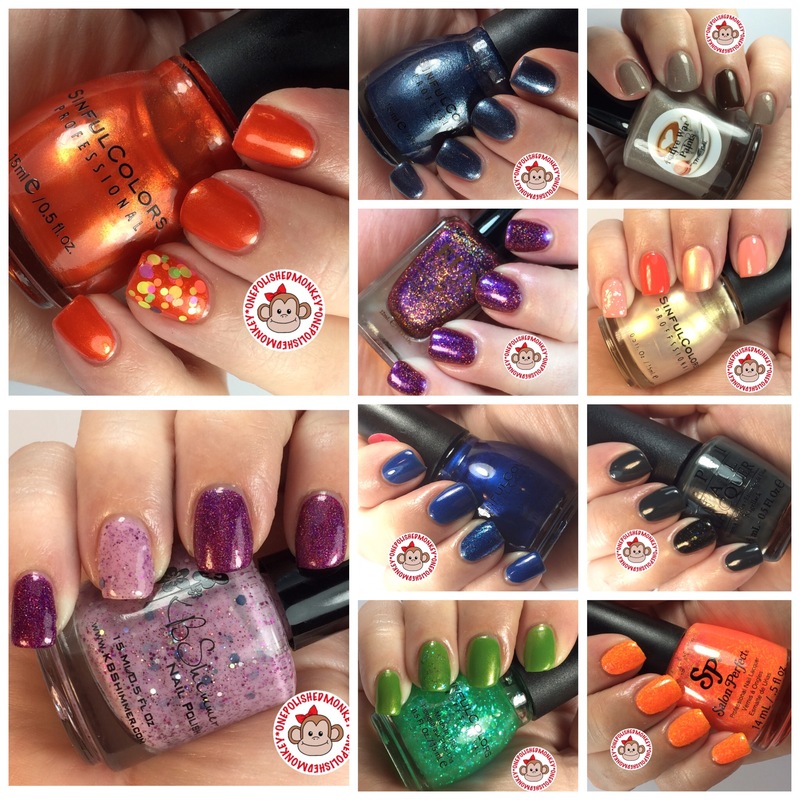 So what was your favorite and least favorit mani for January?